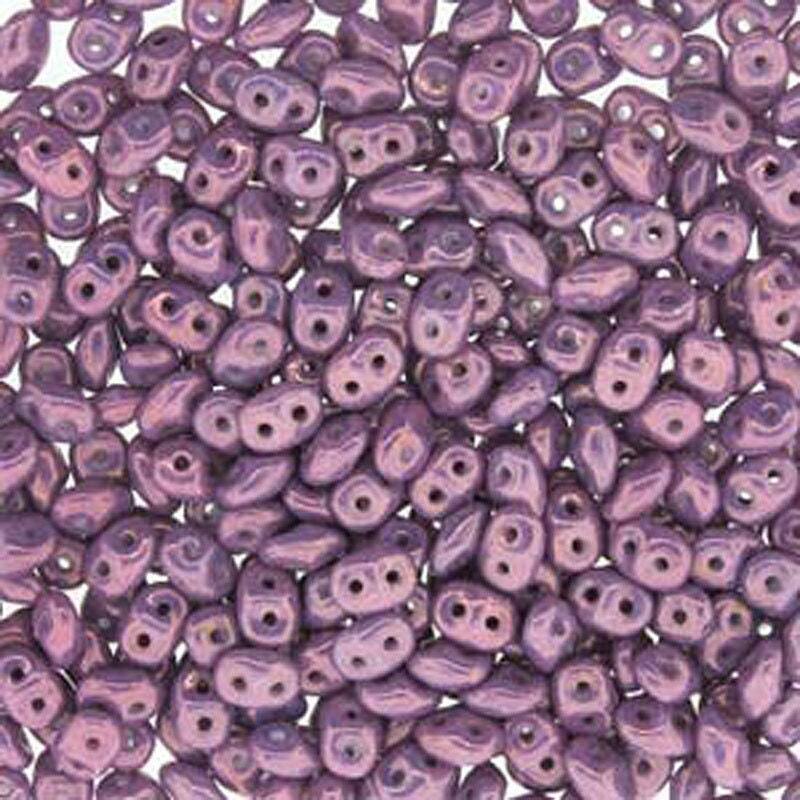 2.5x5mm Vega on Chalk (lavender or purple) two hole Czech pressed glass super duo seed beads. These beads are made with colored glass in a variety of coating options, including iridescent and two tone finishes. Oval shape with two holes which are 0.8mm - great for beading. Create your own designs, use as a connector or as a main material to work any beautiful beaded project. You will receive one 12 gram tube. very quick shipping - thank you! Saw some items here I hadn't seen anywhere else. When I received my order, everything looked just like I expected based on the pictures. Shipping was fast and everything was safely packaged. Thanks! Love these beads these are one of my favorites. I love super duos. They are so fun and versatile. Can't wait to see what these become. Lovely beads! Can't wait to create 😊 Thank you!